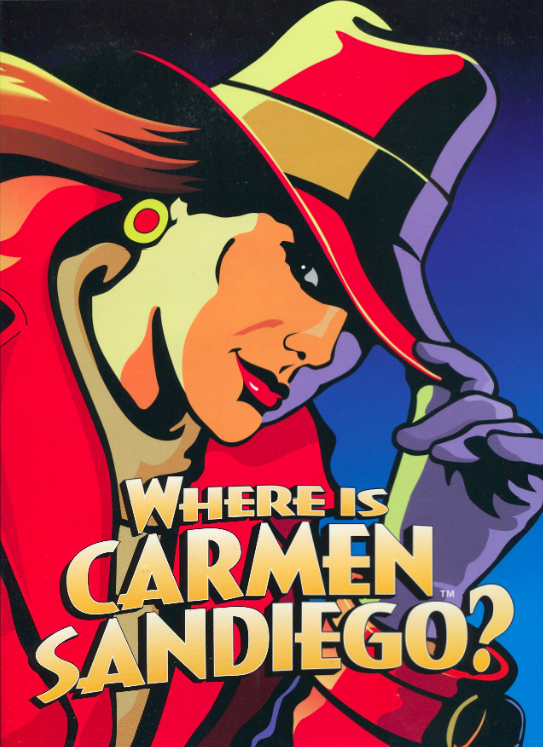 We designed and wrote the original style guide for Carmen Sandiego, the popular, educational e-game and TV series franchise, co-created by Brøderbund Software & WGBH-TV (PBS). In addition to Carmen’s early successes as a series of e-games and multi-season PBS TV programs, Carmen continued to thrive after ‘her’ purchase by The Learning Company/Riverdeep UK, including a second TV series broadcast on FOX. Carmen Sandiego was recently reissued as a smartphone videogame series by Houghton Mifflin Harcourt. In addition to providing Dos & Don’ts on how to portray Carmen Sandiego, our style guidance provided a roadmap for licensees and strategic partners to incorporate Carmen and several ancillary characters into their co-branding, product packaging and promotions. Additionally, we designed packaging and promotional art for several Carmen Sandiego licensees including Wendy’s, Life Cereal/Quaker Oats and University Games. Licensing and co-promotions represent additional revenues, while adding value in the form of increased brand recognition. Our styling of Carmen Sandiego contributed to this property’s continuing success across multiple platforms, culminating in sales of tens of millions of units. ‘Where in the world’ do you want your brand to go? Let’s make it happen together. Note: respecting the proprietary nature of licensing and the licensors and licensees with whom we work, no actual style guidance is depicted—only our images (or) resulting ones in the public domain.